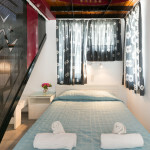 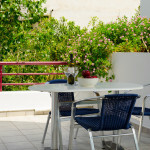 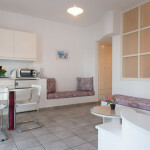 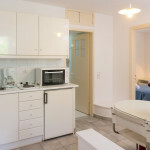 Markakis Apartments in Elounda, numbers eight modern residents, fully furnished, able to accommodate from 2 to 6 people. 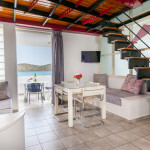 More specifically, the accommodation in elounda of our guests consists of five apartments with 1 bedroom that can feast up to 2 or 4 people, 1 apartment with 2 bedrooms that can feast up to 6 people (suitable for 2 couples or a six-member family), and 2 apartments with 2 bedrooms which are duplexes, that can accept up to 5 people. 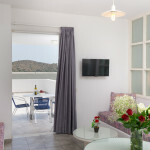 Accommodation in the village of Elounda, means relaxing in Markakis Apartments which most of them have spectacular view of Spinalonga, the island that inspired Victoria Hislop in the book “The Island”. 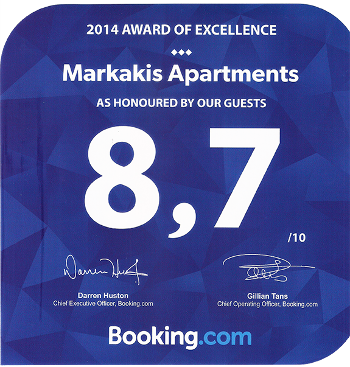 Markakis Apartments are situated only 300 meters from the Main Square of the village, 200 meters from the nearest sandy beach of Hiona and 250 meters from the bus stop for Agios Nikolaοs. 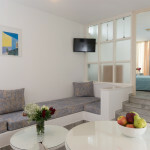 The modern and ingenuous design combined with the wealth of the amenities offered, will steal your heart from the very first time. 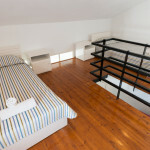 All our apartments feature spacious bedrooms and living rooms, spacious terraces modern indoor and outdoor furniture, all chosen with the personal taste of the owners. 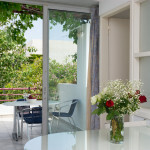 Enjoy your vacation overlooking the island, and really feel that inspiration and energy that this place emits.